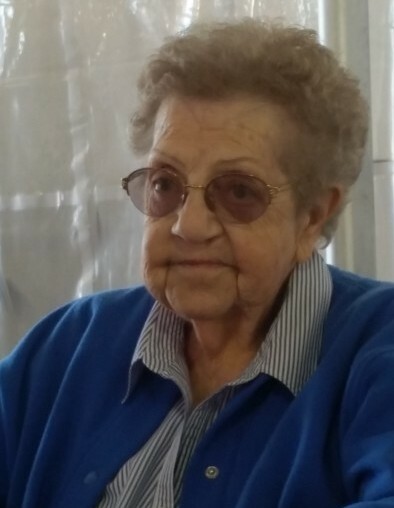 Verda M. Walters, age 87, of 909 Old Berwick Road, Bloomsburg, passed away at 2:50 p.m. on Monday, March 25, 2019 at the Geisinger Medical Center, Danville. She was born in Bloomsburg on September 14, 1931 and was the daughter of John J. and Flora (Shultz) Welliver. A lifelong resident of Bloomsburg, she was a 1949 graduate of the Bloomsburg High School. She was employed by U.S. Radium for five years and Sunshine Laundry for twelve years. Verda was a member of the Ladies Auxiliary, American Legion Post 273, Bloomsburg, for over 30 years. A diehard Phillies fan for over 50 years, Verda enjoyed bowling, playing bingo, camping and watching Penn State sports. She was preceded in death by her husband of 57 years, James L. “Bucky” Walters, Sr., and two brothers: Jack Walter Welliver, Sr. and Wayne M. Welliver. Surviving are two sons: James L. Walters, Jr., and his wife Susan, Bloomsburg; George John Walters, and his wife Beth, Bloomsburg; four grandchildren: Chelsea, Ian, Jeff, and Tim; and a great-grandson, Evan. Interment will be at 10 a.m. Friday, March 29 in the Creveling Cemetery, Scott twp. In remembrance of Verda, memorials may be sent to the Bloomsburg Ambulance Association, 307 E 2nd St., Bloomsburg, PA 17815 and the American Legion Post 273, 110 Juniper St. Bloomsburg, PA 17815. Arrangements have been entrusted into the care of the Dean W. Kriner Inc. Funeral Home & Cremation Service, 325 Market St. Bloomsburg, PA 17815.